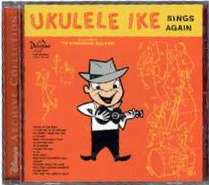 Part of the Disney's Archive Collection, "Cliff Edwards -- Ukulele Ike Sings Again" is one of the popular recordings from the Golden Age of Disneyland and Buena Vista Records being made available for the first time in decades -- and for the first time ever on CD. 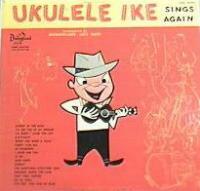 This 1959 recording features Cliff Edwards backed by the Wonderland Jazz Band. This album is digitally restored from the original masters. Cliff is backed by a dixieland band which at times is overly loud and intrusive. The record as a whole swings in an upbeat style. LP version from 1959 is pictured here.